Domingos José Gonçalves de Magalhães, Viscount of Araguaia (August 13, 1811 – July 10, 1882), was a Brazilian poet, playwright, medician and diplomat. He is considered the founder of Romanticism in Brazilian literature, and was a pioneer of the Brazilian theatre. He is the patron of the 9th chair of the Brazilian Academy of Letters. Domingos José Gonçalves de Magalhães was born in Rio de Janeiro, to Pedro Gonçalves de Magalhães Chaves. His mother's name is unknown. He entered in a Medicine course in 1828, graduating in 1832. In the following year, he travelled to Europe, where he met and befriended Manuel de Araújo Porto-Alegre and was exposed to the Romantic ideals. 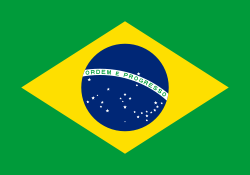 He wrote in 1836 a Romantic manifesto, Discurso Sobre a História da Literatura no Brasil, and, in the same year, he published the poetry book Suspiros Poéticos e Saudades, the first Romantic work to be written by a Brazilian. Returning to Brazil in 1837, he wrote two tragic plays: António José, ou O Poeta e a Inquisição in 1838 and Olgiato in 1839. Also in 1838 he becomes a Philosophy teacher in the Colégio Pedro II. 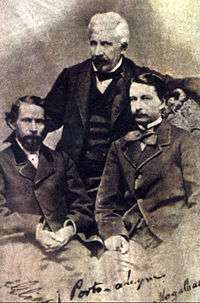 He also founded with Porto-Alegre and Francisco de Sales Torres Homem the short-lived magazine Niterói; only two issues of it were published. He entered the diplomatic career in 1847, becoming minister in the United States, Argentina, Austria and in the Holy See. He was also a chargé d'affaires in the Kingdom of the Two Sicilies, the Piedmont, Russia and Spain. Very esteemed by Emperor Pedro II, he was decorated with the Order of the Rose, the Order of Christ and the Order of the Southern Cross, and with the title of Baron of Araguaia in 1872, being elevated to Viscount two years later. Magalhães had a son, Antônio José Gonçalves de Magalhães de Araguaia (born c. 1858), who was proclaimed Count of Araguaia by the Holy See. 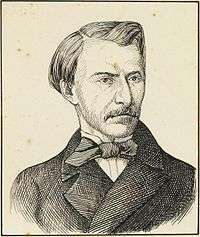 Gonçalves de Magalhães died in Rome, on July 10, 1882.